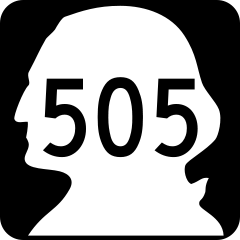 On Tuesday, March 28, 2017, we drove the length of Washington State Route 505. 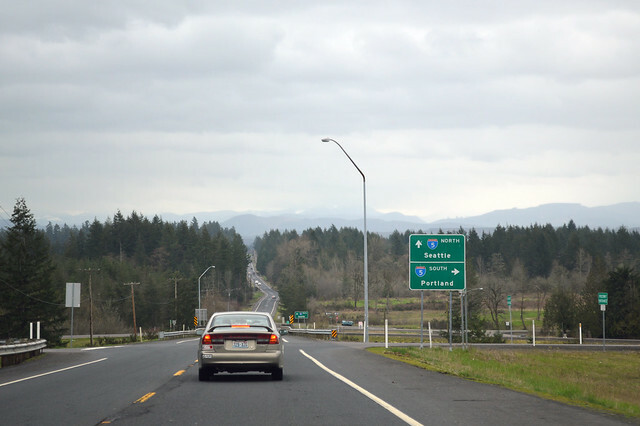 Just down the street from the "World's Largest Egg", Highway 505 begins here in Winlock. 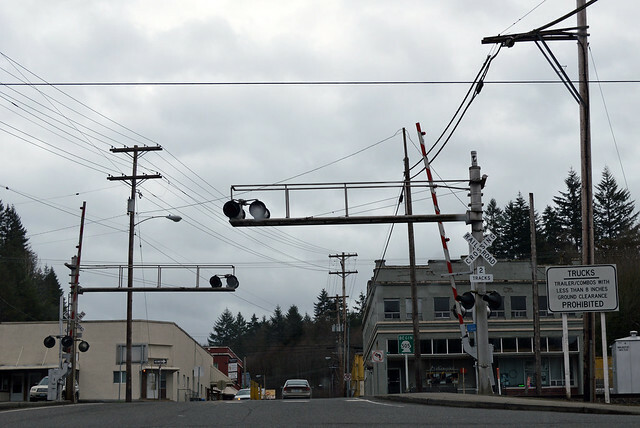 This used to be a junction with SR 603, but SR 603 doesn't exist anymore. It's just Old Hwy 603. We head up the hill, 35 mph in a 50 thanks to the local guy in front of us. Then a hilly road in a straight line across the Grand Prairie to I-5. 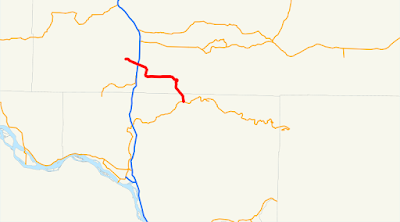 We then curve south across the Cowlitz Prairie to Toledo. The high school is letting out as we pass by, a line of diesel pickups waiting to get out of the student lot. We head west out of town on the Layton Prairie, farms farms forest farms. The trees are blooming in lichen, bright grayish green. We roll south through the forested hills. Lots of blowdown trees line the shoulders of the highway, cleared out of the lanes but not much farther. 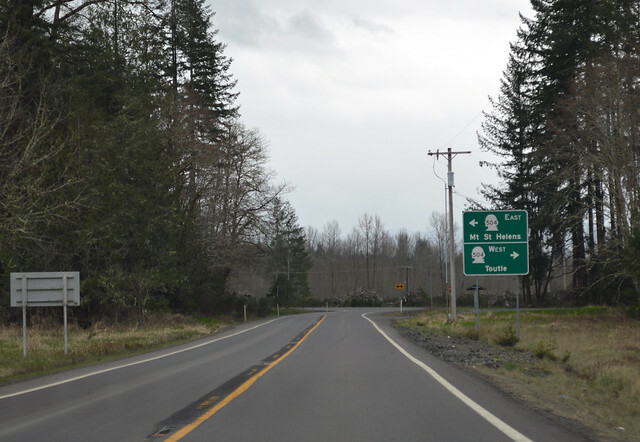 And then down by the North Fork Toutle River, we reach the end of Highway 505 at this junction with SR 504. It's surprising how quick you can get to rural Washington just off the busiest highway in the state.